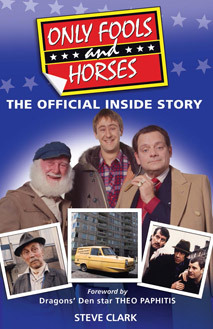 Over the years two urban myths about Only Fools and Horses have become widely discussed. 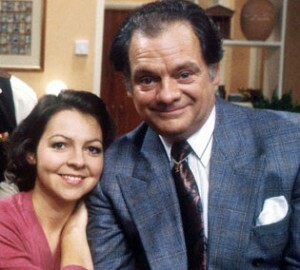 The first is that Tessa Peake-Jones, who played Raquel, had a brief appearance in the first episode Big Brother. The second was a claim that singer and former Take That star Robbie Williams appeared as an extra in the 1992 Christmas Special Mother Nature’s Son. But Tessa told me last week: “No, I wasn’t in the very first episode and I don’t know where that rumour has come from.” Her actual first episode was the 1988 Christmas special Dates. Similarly, it seems extremely unlikely that Robbie Williams appeared in Mother Nature’s Son. He was already famous by then and no one senior on the production has any recollection of his appearance. When I asked Director Tony Dow recently he said: “First time I’ve ever heard of it. Seems pretty unlikely don’t you think!” and Producer Gareth Gwenlan’s thoughts were much the same: “It doesn’t ring any bells with me – unless he was hiding!” he told me. So there you have it – two Only Fools and Horses myths busted!